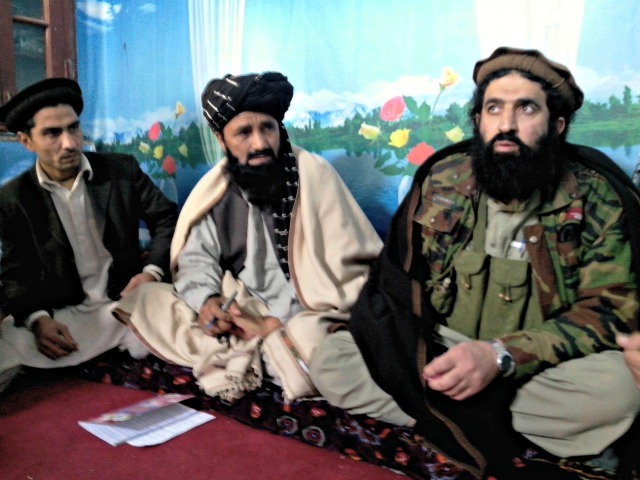 Five Tehreek-e-Taliban Pakistan (TTP) senior leaders and TTP spokesman Shahidullah Shahid have now announced their allegiance to ISIS. I declare allegiance to the Caliph of Muslims, Amirul Momineen Abu Bakr al Baghdadi al Qarshi al Hussaini. I will listen and follow his every instructions whatever the situation may have been. This allegiance is neither from the TTP or its leader Maulvi Fazlullah. On September 4, Breitbart News reported that ISIS supporters were using chalk drawings and bumper stickers to woo new fighters to ISIS, with the goal of extending the group’s reach into border regions in Afghanistan and Peshawar, Pakistan. Already, at that time, The Express Tribune reported that “a number of hardline groups operating in Pakistan and Afghanistan [had]… announced support for ISIS. And “Stalwarts of the Saudi Arabia-backed Salafi Taliban”–men like Abdul Rahim Muslim Dost and Maulvi Abdul Qatar–had already come out in support of Abu Bakr al-Baghdadi.